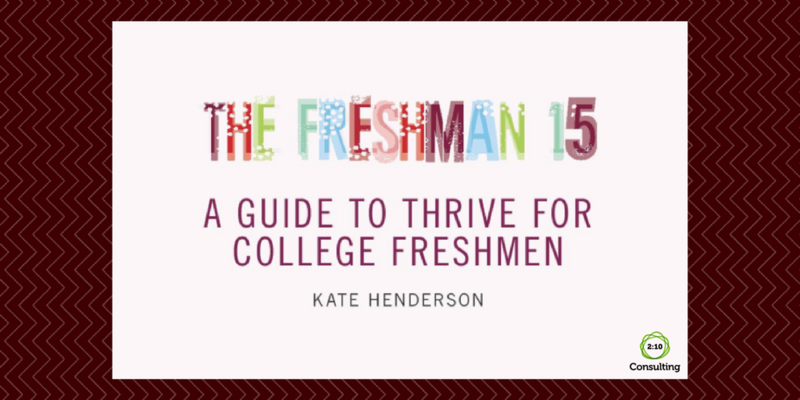 The Freshman 15 – A Guide to Thrive for College Freshmen by Kate Henderson is a wonderful interactive Bible study for high school senior girls preparing for their freshman year of college. As a mom of five young adults (one graduated and out of college and four currently in college) plus having worked with hundreds of high school students through the years, I know both personally and professionally that the transition from high school to college is significant. Most graduating seniors are excited, but also nervous about this new chapter of life, whether they directly admit it or not. This short five chapter study helps graduating senior girls (and their moms) think through the major issues they will face as college freshmen and equip them to thrive in college. I think this study is invaluable for every graduating senior girl who wants to keep her faith and thrive throughout college.